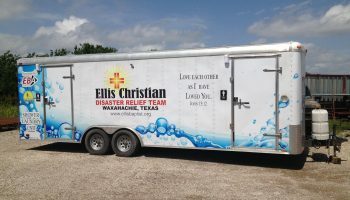 The Ellis Christian Disaster Relief Team [ECDRT] was created to provide similar services of the Texas Baptist Men’s [TBM] Disaster Relief Units to people in Ellis County without a TBM “Call Out.” Most individuals that participate with the ECDRT are TBM Yellow Cap trained but it is not always required. This ministry allows people to be involved locally (many times on the week-end) whom may not be available for a TBM “Call Out”. ECDRT will be called out by TBM and the participants must be Yellow Cap trained. See the article below written to define the difference. 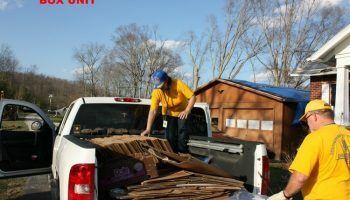 The Mud Out Unit helps clean out homes after flooding, fire and other disasters. Typically, this is fairly labor intensive, and is to clean out and sanitize a home to help reduce mold from forming before rebuilding. In the case of fire, often all that can be accomplished is to sift through the ashes looking for valuables such as rings, keys, etc. This unit is able to minister to an individual over a longer period of time. Often the question comes up, “Why would you do this for free”? This is a great ministry opportunity to share Jesus. This unit requires 6-8 people to clean out a home. With enough volunteers we can clean out two homes at once. The box unit provides boxes, paper and tape to people who need to store items until their home can be rebuilt. A message of hope, drawn on a sheet of paper by a child, is also provided to help provide encouragement to the home owner. This unit is primarily used after flooding, tornadoes, hurricanes and fires. It is a great ministry to offer boxes along with prayer. This unit is called out immediately after the disaster area is cleared of hazards and as people are allowed back into the disaster area and often stays for several weeks. Often team members will work with chaplains who will drive the neighborhoods. Once the initial response is met, the unit is set up at a command site for several additional weeks. The unit is periodically restocked. The shower units provide support for Disaster Relief volunteers. Many volunteers and first responders come in from the day’s work hot, tired and hungry. Disaster Relief can meet many of these needs and shower units are essential for effective volunteer response. Disaster Relief volunteers, Red Cross volunteers, Law Enforcement personnel, and National Guard personnel are among those who benefit most from a refreshing shower. In addition to providing showers, these units often double as laundry units. Many volunteers and first responders are a long way from home and, therefore, benefit from access to laundry services. Sometimes survivors also receive laundry services. If evacuees have been displaced and are being sheltered, a shower/laundry unit is often a powerful means of support and a witnessing tool for individuals and families in crisis. The combined laundry/shower unit consists of 2 washers, 3 dryers, and 6 shower units. 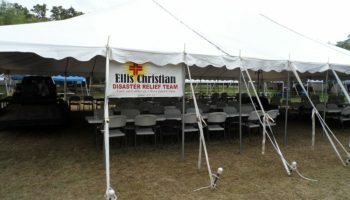 ECDRT has a 40 x 60 tent available to reserve for any ministry-based event. The tent unit is used to provide temporary shelter for people and items. In disaster situations, the tent has been used for temporary housing, church services and storage. This unit is used especially in large disasters such as hurricanes. Year-around this unit has been locally used by ministers for VBS, New church starts, church-wide fellowships and other special events. The tent can travel from Waxahachie to Houston, be put up and taken down, and be back in Waxahachie that evening. ECDRT appreciates a donation for the use of the tent to offset upkeep costs associated with keeping the tent in good shape, however this is not required for the use of the tent. Also available for use are approximately 100 folding chairs and 22 six foot tables. To download a copy of the tent unit agreement form, please click here. To reserve the tent, please click here and fill out the request form, or you can call the Ellis Baptist Association at 972-937-9320. 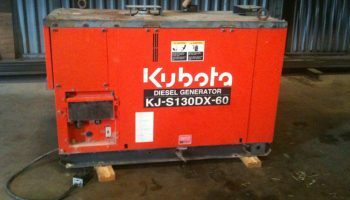 The generator unit is used to provide temporary electricity where needed. It can be used in a variety of situations. It is a great auxiliary unit for special occasions. It might be used with the tent unit or clean out unit. With this unit we can provide large circulating fans and lighting as required. This unit has yet to be called out for a disaster as it is one of our newest units. It is a 12.5 kw diesel generator in an 8’ trailer. TBM accepts invitations to come assist in disasters and then they “Call-Out” teams to assist. Ellis currently has 5 units which could be “Called Out” by TBM. They are: Clean-Out, Tent, Box, Generator, and Shower/Laundry. All volunteers must be Yellow Cap trained into order to go with a TBM team. The training is good for three years. 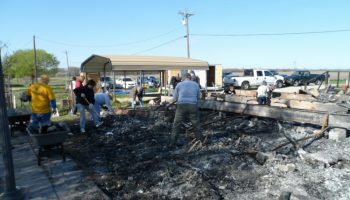 ECDRT will be called out by TBM but also provides similar service with disaster relief to people in Ellis County. You do not have to Yellow Cap trained to work locally with ECDRT. It helps and is encouraged but not required. This ministry allows people to be involved locally which involves those volunteers that work and cannot participate in TBM "Call Outs".